You might not be’ef this, but when we buy beef … we buy it in bulk; a full cow … or a half a cow … depending on how much room is in the freezer. Scout’s honour. So this situation makes for a lot of ground beef, and as a result I have spent a large portion of my life coming up with meals made from it, because let’s face it, a person can only eat so much spaghetti. 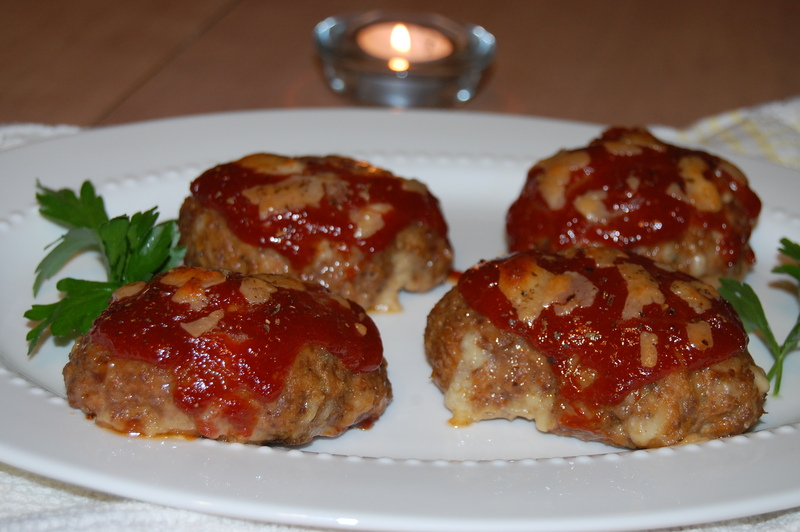 This is a recipe I created, based on ground beef and easy, nutritious foods that are usually in my pantry. It’s a real crowd-pleaser, full of flavour, and hits the spot with famished, hard-working, farmboys! There isn’t a farmboy for miles who won’t thank you for making this dish. 1. Chop two onions into chunks & cook in olive oil until transparent. 2. Add chopped mushroom to onions and continue cooking for 10 more minutes, then set aside. 3. Cook hamburger meat in skillet until no longer pink, drain off the fat and finish by patting with paper towel to remove the last of the grease. 4. Return cooked beef to the pan and add the cooked onions, mushrooms, corn, and bouillon (if you have any beef bouillon left over from cooking a pot roast, use it here, the results are to die for). Stir over medium heat, for 3 minutes. 5. Thicken the bouillon. Mix water and flour together and whisk until there are no lumps. Add gravy browning, mix and pour into the hamburger mixture. Stir hamburger until most of the liquid has been thickened. Remove from heat. 6. Spread each pita with BBQ sauce, coating evenly. Then place a generous helping of the hamburger mixture onto each pita and spread it evenly. Divide the cheese evenly between the pitas. Add tomatoes if using. 7. Bake in a 425 °F oven on the centre rack for approximately 20-25 minutes or until the cheese starts to bubble and turn slightly brown. Cool for 10 minutes and cut into wedges. lying on a fresh bed of straw, all pretty and pampered. Hamburger pita’s without tomatoes are delicious! 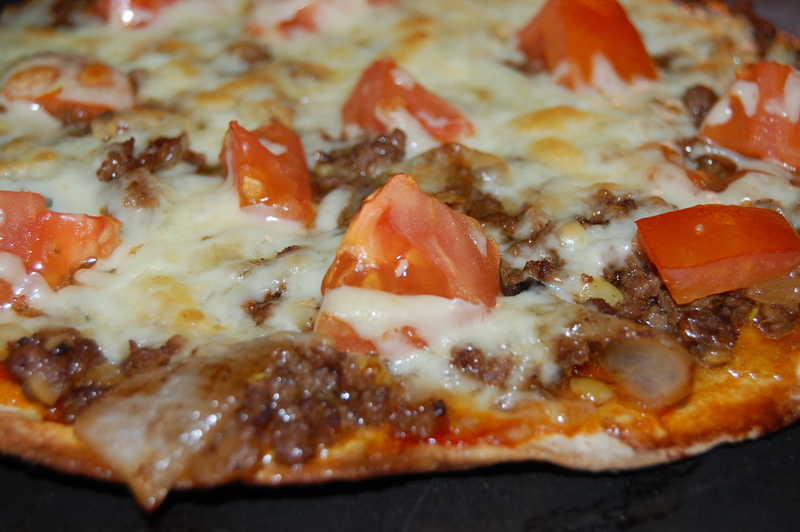 Hamburger pita’s WITH tomatoes are super delicious! love. They will swoon and rave and thank you endlessly. somebody’s else’s farmboy, and show ’em some love!